Most people have heard this verse at least once in their lifetime. It is a sweet scripture that is used to show love and commitment. But lets really think about the word Beloved. It is more than an affirmation. It is a title. The word Beloved means Cherished, Adored, Esteemed, Admired, and my favorite…treasured. When we have something we treasure, we guard it. We do everything to protect it. What we treasure knows that we treasure it. We show affection to it and love it fiercely. Our love grows more each day for it. That is what I wanted to showcase through this couple. I can go in many directions with them but I will do my best to stay the course and stay on subject. We met them a little over 3 years ago. Even though it seems like we have known them all our life. INSTANTLY I noticed something insanely different about them. They have been married for years, have 4 children together and they were/are madly in love each other. I am not saying that couples with kids and have been married for years don’t love each other because I know plenty who do. But their kind of love is so different. It is a love that has years of familiarity and experiences and yet still is fresh and new. It is difficult to picture unless you know a couple like this. This couple treasures their relationship. And when I say treasure I mean it. They protect it against this world and all the negative it says. They guard their own hearts so that it doesn’t bleed over and affect the other. And then when things do bleed over and the world comes against them, they forgive. They hold onto one another and find comfort in their beloved’s arms. They challenge me to love more. To treasure my husband and love him with everything I have in me. To guard and protect our relationship. And ultimately to forgive always. Did I mention how much I LOVE this couple? They are truly a blessing to my family in so many different ways. They traveled down from D.C for the weekend. This past Sunday marked 30 years from their first kiss! So it was perfect to do this session with them. We met up at Aromas. He walked in with Roses, a card, and a jar full of 30 hershey kisses. It was so sweet! Then over coffee and apple pie I began to ask them questions that reflect on their marriage, their future, and a little of their past. There were some tears and lots of laughter through it all! I had so much fun doing this type of session. It gets the couple to think about and talk about things that they wouldn’t normally talk about. I enjoyed doing it so much, I want Luke & I to do a Beloved Session together. Here are some of our favorites of the day! Love your words and moments captured in pics! Shameless plug here, but I get what you mean- totally! Couldn’t help but include their story in The Love Triangle book! Thank you Renee! Loved reading their part in your book! 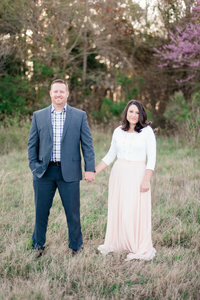 What a sweet Engagement Session! Love those restaurant / bar pictures! Awh these are great!! So many sweet smiles!